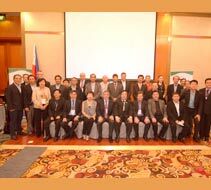 Manila-based Philippine Plastics Industry Association (PPIA) recently hosted the 25th global meeting on plastics and sustainability held December 08 to 10 in Pasay City, Philippines, and participated by international experts on plastics and environment, as well as leaders of plastics industry associations in Europe, Asia, the US, Brazil, and South Africa. With the theme, Environmental Issues and Technological Solutions on Marine Litter and Waste Management, the global meeting held addressed various timely issues ranging from marine litter, sustainability, waste management, global threats and challenges to plastics consumption, to industry and advocacy programmes relating to marine debris and plastics life cycle. According to PPIA, this year’s meet was a follow-up on the previous assembly held in Malaysia in 2013. At the three-day meeting, delegates presented their respective country reports and waste management initiatives, focusing on recycling, waste management and energy recovery. Moreover, outreach activities by industry players, as well as action plans were also discussed to address relevant global issues ranging from marine litter to plastic bag and products regulations. Among the roster of presenters, the American Chemistry Council (ACC), in its presentation, explained that current developments in plastic materials effect reduced plastics use, adding that many plastic types have reduced weight, energy use, and greenhouse emissions in various applications. Citing innovations in materials, such as plastic composites and bioplastics, ACC said that these developments created positive impact for key segments such as in automotive and packaging. PlasticsEurope, the association of plastics manufacturers in Europe, reported that its initiated global data survey on plastics production, while successful, is yet to cover other country data. It also fleshed out several concerns gleaned from the waste management targets in Europe, and laid out corresponding recommendations. The Philippine Plastics Industry Association (PPIA) and The Malaysian Platics Manufacturers Association (MPMA) both presented their respective projects that target waste management and marine litter. PPIA showed its various programmes such as exchanging a kg of waste plastic for a kg of rice; the bay clean-up drive; and post-consumer recycling through waste-to-energy and asphalt paving mix technologies. Likewise, MPMA has intensified its campaign for reusing and recycling plastics especially among common consumers. Meanwhile, the Plastic Waste Management Institute (PWMI) of Japan reported that while resin consumption in the country increased, it has managed to decrease landfill use bybolstering recycling.